And the first step is to move to something called Aperture Priority Mode. This will help you get more control over how your images turn out, but as it still leaves you with the â€œsafety netâ€� of the camera balancing the exposure, so you donâ€™t need to worry about that just yet ðŸ˜‰. Weâ€™ve a lot to get through in this blog post, so letâ€™s get crackinâ€™! Aperture Priority Mode is simply a shooting mode on your camera, like AUTO or Manual Mode. Itâ€™s whatâ€™s known as semi-automatic mode, because you tell the camera which Aperture to use, and then the camera figures out the correct exposure, and sets the two remaining elements, ISO and Shutter Speed for you. 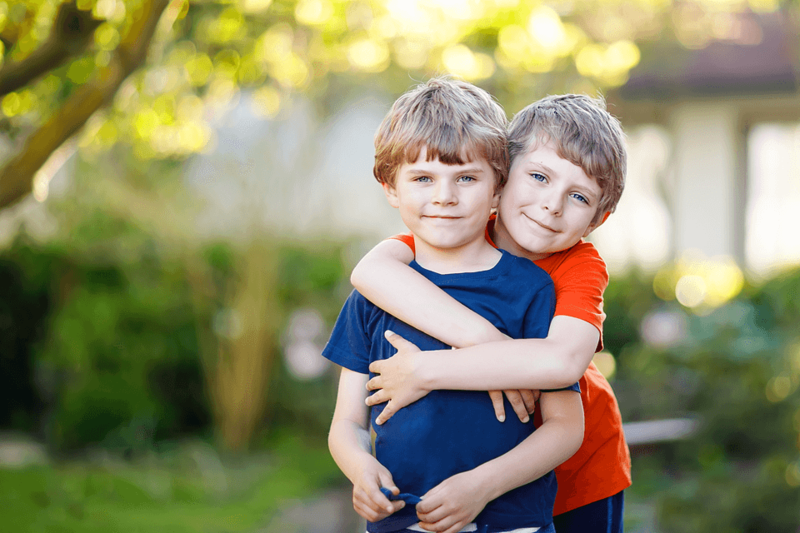 Although the camera is still doing most of the work, because you can choose your Aperture yourself, itâ€™s a great first step toward getting more creative, and getting the images of your children, family and everyday life that you can see in your head! 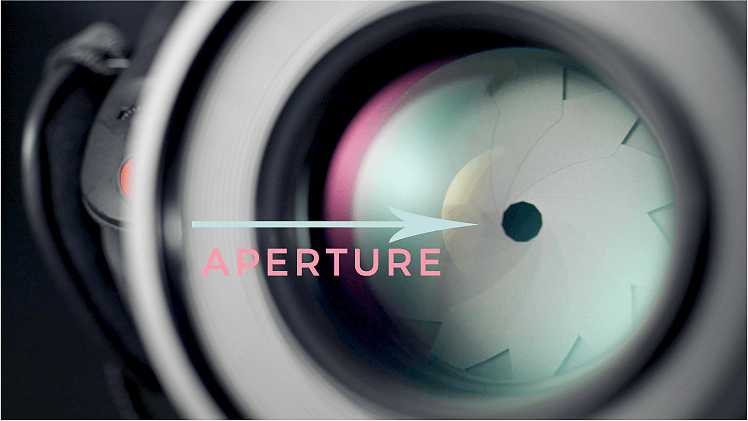 But what exactly IS Aperture? Aperture is simply a hole in your camera lens which opens up to let light reach the camera sensor. When you change the aperture setting on your camera, all you are really doing is changing the size of this opening, and making it bigger to let more light in, or making it smaller to let less light in. Keep this in mind, because if you are shooting indoors where there is less light, you might want to use a wider aperture (small F number) so you can make the most of the light available, and not have to resort to the dreaded pop up flash. The other important bit to know about Aperture is that it also changes how our images look, by controlling something called â€˜depth of fieldâ€™. Depth of field is simply how much or how little of your scene will be in focus. Photographs with a large depth of field will have a larger area, from front to back, in focus, whilst images with a shallow depth of field will have a small area, again from front to back, in focus. You can read more about Aperture & Depth of Field in this earlier post; What is Aperture? A guide for new photographers! And what about ISO and Shutter Speed? As I mentioned earlier, Aperture is just one element of our exposure triangle, the other two are Shutter Speed and ISO, so letâ€™s quickly go over them now, as you still want to have a knowledge of these when shooting in Aperture Priority Mode. Letâ€™s kick off with ISO. ISO is simply a measurement of how sensitive your camera is to light. If you are were shooting indoors, at night, or outside in a dark cloudy days, youâ€™ll probably want your camera to be MORE sensitive to light. On the other hand, outdoors on a really bright sunny day, youâ€™ll want to keep your ISO number low, which will make your camera LESS sensitive to the light. ISO is written as a number from 100 to 6400 (or higher on some models) sometimes with â€œISOâ€� written in front of it. Shutter Speed simply refers to the speed in which the shutter of your camera opens and closes. (Think of these as curtains over your aperture/hole) If the shutter opens and closes slowly, it lets lots of light into the camera. If the shutter opens and closes again very fast, less light is able to get in. But Shutter Speed also affects how our images look, as it controls how motion is captured. Use too slow a shutter speed and youâ€™ll get motion blur (where youâ€™re image looks soft and out of focus) whereas a nice high shutter speed will â€œfreezeâ€� the motion. Iâ€™ve created an comprehensive 8 page Aperture Priority Cheat Sheet, which along with a few others things, has suggested numbers on all THREE elements of exposure for you - so Aperture, Shutter Speed and ISO! Youâ€™ll need it to get the most out of this blog post, so before you go any further, grab it by clicking on the image below, then come back here to learn how to shoot in Aperture Priority Mode. Next, you need to decide which Aperture number to use. This is shown on your camera as the F number. Use the cheat sheet that goes along with this post to determine which aperture number you should use depending on what you want to capture! You have two options here for your ISO - you can leave this on AUTO, and the camera will choose an ISO number for you. Iâ€™d suggest doing this to begin with, and then, when you feel ready, move onto setting the ISO yourself. If setting the ISO yourself, choose an ISO number based on how much light is in the scene. Youâ€™ll get some suggestions in the cheatsheet you downloaded. . However, I still want you to keep an eye on this! Try to make sure that your shutter speed doesnâ€™t drop below 1/100. If the number you see is lower than that, then I want you to either choose a smaller F number, or a larger ISO number. STEP 5 â€“ SNAP AWAY! Thatâ€™s it! Simply half depress your finger to activate focus, wait for a confirmation beep that focus is locked (or a green light) and then start snapping away! And if you read all the way down here without grabbing your cheatsheet - go do that now! It will help make the above much easier as youâ€™ll know which settings to use! Grab it by clicking on the image below. Thatâ€™s it from me for today, and I hope to see you all confidently shooting in Aperture Mode! If you liked this tutorial, Iâ€™d REALLY appreciate it if you could share it around. Pin it to your boards on Pinterest, or share on Facebook or Twitter, or just link to the blog in general. Muchas gracias!